There’s no marquee hire advice this week other than to make sure you get to the show on Wednesday or Thursday. We’re going down to set up tomorrow and with several hundred people happy to pass on their advice (our products are the best etc) I figured you’d be fine without this week. 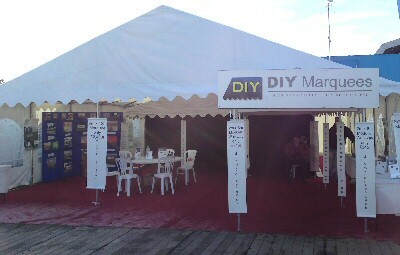 We’ll be showing our new 9m x 12m marquees for sale (less than half the price of aluminium). We’re really very proud of them, come and have a look and see what you think. We’ll be displaying our new gable end system we’ll be putting in to production for next summer as well as some new blackout linings with attachments to create your own DIY starlight lining. There’s various things to mention so this isn’t technically an advice article, sorry! 1. We’ve got a used 6m x 6m DIY Marquee for sale on eBay at the moment. It’s in reasonable condition and could help someone out. 2. The 9m wide modular marquees, walkway and new sizes of marquee advertised at The Showmans Show aren’t on the website yet, they’ll be put on in January when they’re in stock – with the exception of the 9m marquees that we’re taking pre-orders for to be ready in March. 3. Probably the biggest news/problem is we’ve been told this week that we can no longer get hold of the shade of lining material we use. We’ve sorted out a replacement that is slightly more expensive but long term could actually be better as it’s a shade that’s used more widely in the marquee industry. The two shades are not really compatable in the same marquee so if you’ve already got our linings we’re trying to make sure we don’t let you down – we’re buying as many thousand metres of the material as we can to continue supplying you. But it will run out at some stage, at this time I would estimate in 4-6 months time. If anyone knows they want linings for next season then you can reserve some in the existing colour without paying a deposit as long as they’re standard stock items, that way you know where you are. Sorry if this is bad news, we’re doing our best to help in any way we can. Showmans Show 2009 follow on. So this was our stand at The Showmans Show 2009. Hopefully most of you came along and saw it in person. Firstly I apologise if it seemed rude I wasn’t up greeting everyone, I injured my back quite badly on Wednesday morning which meant I could only stand for a few minutes at a time (an appointment with a specialist is booked for later today). By the end of the show even the security guard was taking the p**s out of me for taking so long to hobble back and forth to the car park! Secondly a thank you to Colin, Kim and the local first aiders for keeping me in drugs for 2 days (some of them even helped my back! ), but especially a big thank you to Mal at Premier Party Tent who hung round in the pouring rain to take my place dismantling all of our marquees. Sir you are a gent and I owe you a very large pint. A lot of things came from the show and I learnt about various things which I’ll discuss on here soon enough (every day’s a school day!). Unfortunately a slightly sour note came from the show and it’s been bothering me ever since. Someone started a rumour saying I was bad-mouthing one of our competitors. Now anyone who knows me or has dealt with us knows that this is something we just don’t do. Not only that but I’d encourage you never to do so either. As a hire company you’ll always have people asking you to compare yourself to another company and I’d strongly strongly urge you to stick to positive comments, only praising yourself and your companies strong points. If you start saying negative comments about someone else then they’ll start doing the same to you and before you know it you’re both coming across like politicians and customers won’t want to deal with either of you!  Anyway back to us – I’m very lucky in that we get on very well with most of our competitors so a quick phone call took any tension out of that situation but it’s still not pleasant to have said about you. I’ll give this anonymous person the benefit of the doubt and rather than accuse them of malicious rumour-mongering maybe they misinterpreted my comment last week of bad-payers not being allowed to attend as aimed at one of our competitors. It certainly wasn’t. 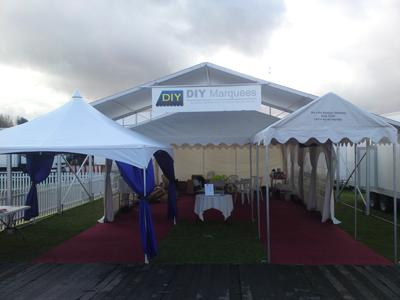 Posted in marquee hire advice, showmans show | Comments Off on Showmans Show 2009 follow on. It doesn’t matter how big a company you are winter months for a marquee hire business are going to be quieter than the summer. A fool could tell you that. In fact a fool is telling you that! Business will have gradually slowed down in October and November will be very quiet. It depends on your market whether you’re busy at Christmas (corporate events, parties and New Years Eve bashes). January and February will be quiet (though a very busy time meeting people if you specialise in weddings). March and April will be like October, not really busy but enough work to get you by and warm up for the summer. Maintain your stock, clean what needs cleaning, repair any holes etc you’ve been putting off when you just didn’t have the time. PAT test all your electrical equipment. Unless you fancy going on a one day course this will mean getting an electrician in. 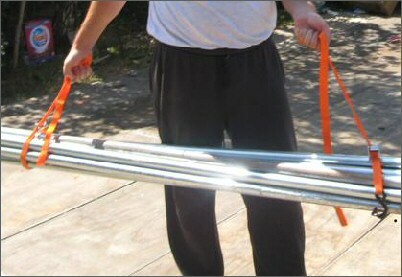 Make any new stock you want for next season that it’s feasible to make. Seat pads are a good, easy one to do. Even building your own tables is possible. Make any new carry boxes or containers you may want next year, make racking or whatever’s likely to be needed in your storage facilities. While you’re coming up with ideas of what to do in preparation for next year you should also plan what stock you’re likely to need. With VAT going up in the New Year any purchases you make (even if you don’t have it delivered until next year) will be at a 2.5% discount. If you’ve got the cash flow available it’s worth getting organised quickly.